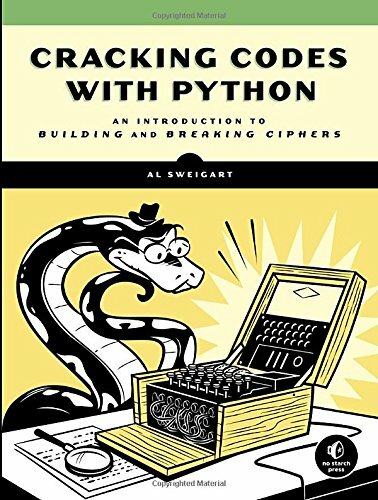 Cracking Codes with Python teaches complete beginners how to program in the Python programming language. The book features the source code to several ciphers and hacking programs for these ciphers. The programs include the Caesar cipher, transposition cipher, simple substitution cipher, multiplicative and affine ciphers, Vigenere cipher, and hacking programs for each of these ciphers. The final chapters cover the modern RSA cipher and public key cryptography. Multiple aspects of public-key cryptography are examined. The author covers the theory of provably secure public-key cryptography and the implementation of exponentiation and multi-exponentiation. An introduction to provable security is provided. The author is trying to find a middle ground, a gentle introduction to selected topics in cryptography without avoiding the mathematics. The material is aimed at undergraduate computer science students, but will be accessible to many others. The book teaches complete beginners how to program in the Python programming language. The book features the source code to several ciphers and hacking programs for these ciphers. The programs include the Caesar cipher, transposition cipher, etc.